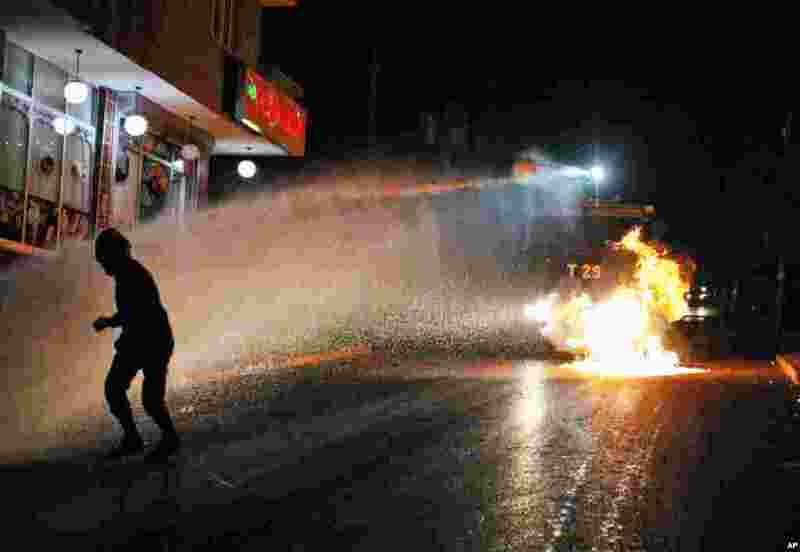 1 A left-wing protester runs to avoid water from a Turkish police water canon during minor clashes between police and people protesting Turkey's operations against Kurdish militants in Istanbul. 2 Cyclists pass by a portrait of Queen Sirikit in Bangkok, Thailand. 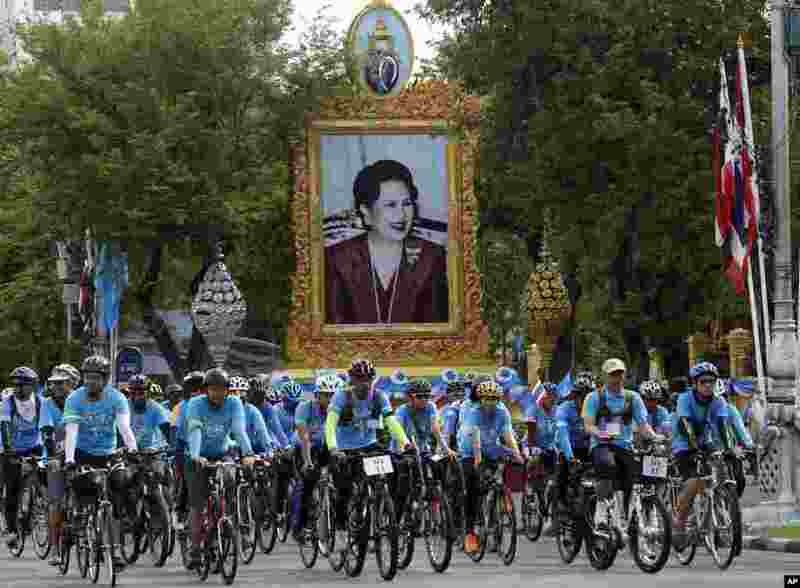 Thousands of cyclists pedaled through the streets of the Thai capital led by the crown prince on a 43-kilometer (26-mile) tribute to his mother, Queen Sirikit, to mark her 83rd birthday. 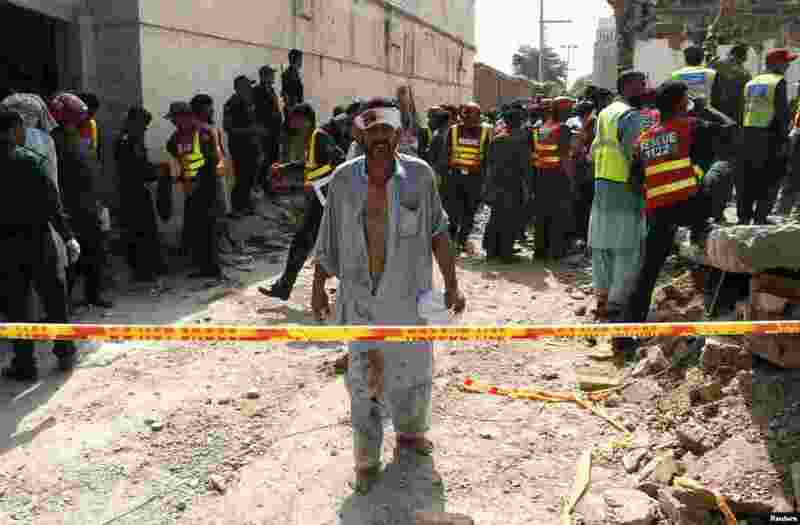 3 An injured man walks away as rescue workers search after a blast near the residence of the home minister of Punjab province, Shuja Khanzada, in Attock, Pakistan.The bomb killed Khanzada and at least eight others when it destroyed the minister's home, rescue officials said. 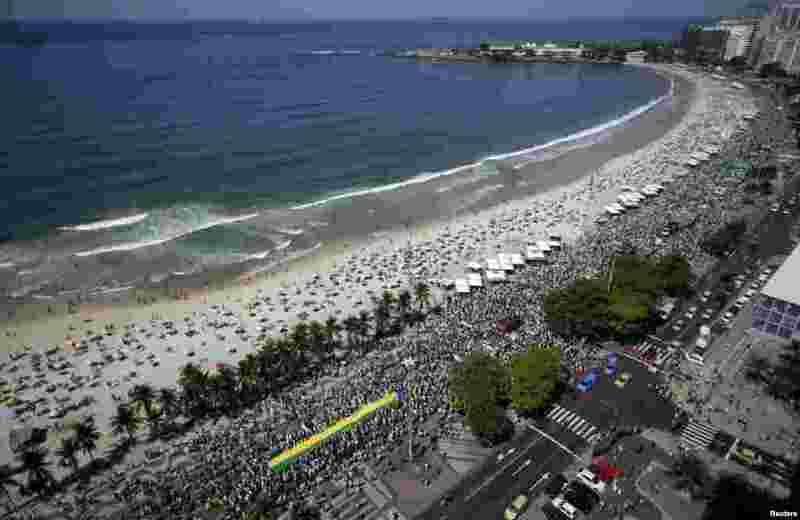 4 Demonstrators attend a protest against Brazil's President Dilma Rousseff, part of nationwide protests calling for her impeachment, in Copacabana in Rio de Janeiro.